← Drizzle, driving and pizza. In leaving Corvallis on last Tuesday, I had originally planned to drive straight back to Los Angeles. However, with a winter storm approaching, and a late start behind me, I decided to add another day to my trip, and hop across the Sierras to Mammoth. I chose to travel by California Highway 89, just south of Mt. Shasta. 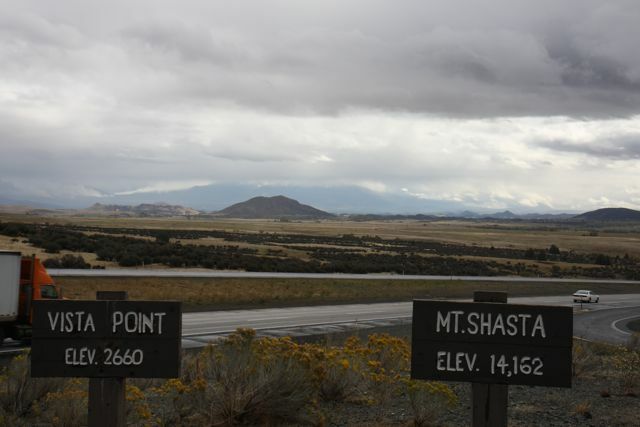 This road leads to Lassen National Park, but before there, I took a cut off to Susanville and Janesville, where California Girl just moved from. It figures, I finally pull into a town where a cousin lived, just to find out she moved! Heading south out of Oregon, I was chased by lots of wind and rain, that began to subside when I got to California. In California again, I felt confident that I could once again pump my own gas with out destroying my vehicle, and I was proven correct. However, Mt. Shasta decided to hide that day from everyone. 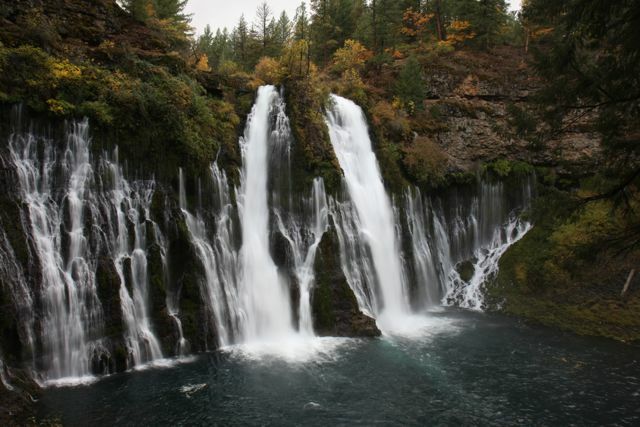 On California 89, I discovered a waterfall I had not heard of before, Burney Falls. I liked it so much, I even took a picture of myself by it. Despite the storm blowing pretty hard at times, the further south I went, the lighter it became. 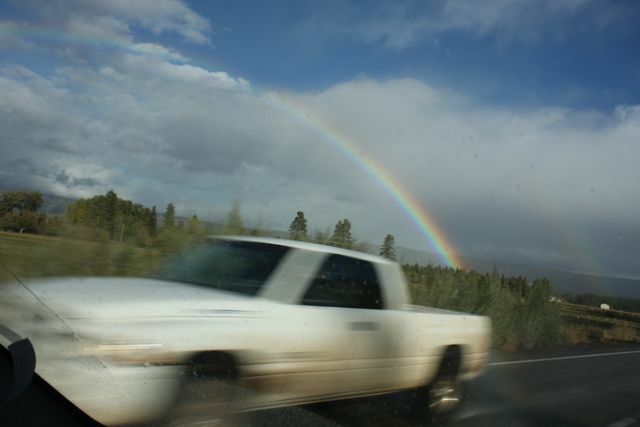 Sunlight became visible again as I went over the Sierras, and on a high plateau I found a rainbow. This car was lucky enough to be visible then! 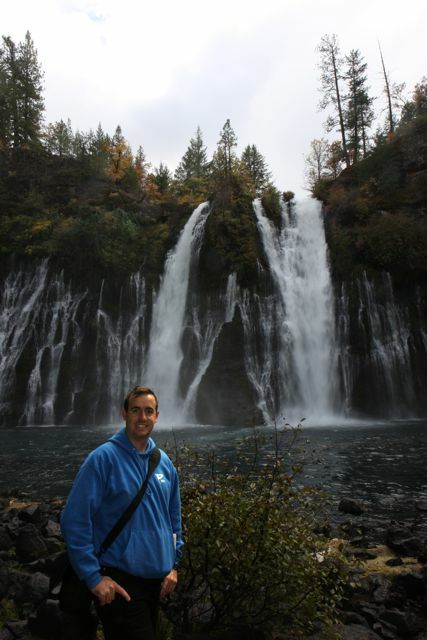 This entry was posted in Trips and tagged Photography, Trips. Bookmark the permalink.